Autism in Paradise: Vaccinosis and Autism? 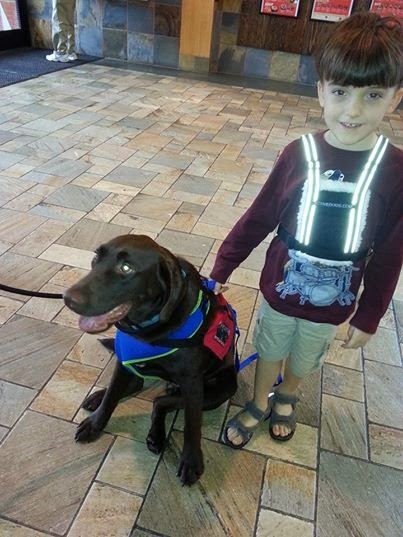 If you read my last post, you know we have recently welcomed a service dog for Ryan. Java is a beautiful chocolate lab…but I have noticed he seems to suffer from allergies. He always seems to be itchy and his eyes are runny. Some googling of his symptoms turned up a condition known as “vaccinosis”, or illness caused by vaccines. 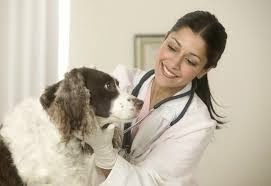 It actually seems to be fairly well-known amongst veterinarians. Some sites said vaccinosis is “rampant” among dogs and cats. “What I have seen in my many years of private practice is that distemper and other vaccines administered to prevent acute illness can contribute to symptoms seen in chronic disease and pathologies. Some symptoms often seen in chronic canine illness include chronic runny eyes and conjunctivitis (tear stains in dogs, dry eye, chronic eye allergies); chronic vomiting, diarrhea, appetite issues; emaciation; pancreatitis, inflammatory bowel disease, GI lymphoma; chronic spasms and seizures (epilepsy, brain tumors); skin eruptions and swelling of feet and red feet pads; itching from lifelong skin allergies; and eruptions around the mouth (seen in lip fold dermatitis). That is, adverse reactions from vaccination may mimic symptoms of the very disease the vaccine was meant to prevent. Reactions may occur immediately or months or even years later. (From www.dogsnaturallymagazine.com –see references for complete link). Do any of these symptoms sound familiar to you? They sure did to me. What struck me was these reactions were attributed to over-vaccination and they are also common to many autistic children. In fact, it seems to be common knowledge in some circles that too many vaccines can cause lasting harm—among our four-legged friends, that is. It's common knowledge among vets and breeders that vaccines can cause illness. So this inspired me to make a search of peer-reviewed medical and vaccine journals to see if vaccinosis was observed in humans. The very first mention of vaccinosis I was able to find appeared in 1884—130 years ago in the United States Medical Investigator. It begins by saying, “Here is a new word coined to cover a multitude of troubles that have been attributed to vaccination.” It goes on to say, “We all accept the fact that bad results do arise from vaccination…” That vaccines could cause harm was no secret in the 19th century, apparently. 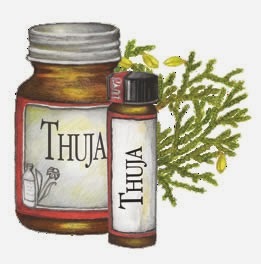 Thuja is said to be a homepathic remedy effective in treating vaccinosis. Fast forward to 21st century medicine…although mainstream media, your medical doctor, and the pharmaceutical companies either aren’t aware of it or simply don’t acknowledge it, there is quite a body of research that discusses the onset of autoimmune or other chronic conditions in people following vaccines. Much of the research regarding the onset of autoimmunity implicates the adjuvants in today’s vaccines. Adjuvants are used to stimulate your immune system to mount a strong response to antigen-based or killed virus vaccines. You would not find an adjuvant in a vaccine containing live virus, such as MMR. In fact, a new disorder has been identified called “ASIA”, short for Autoimmune (Auto-inflammatory) Syndrome Induced by Adjuvants. 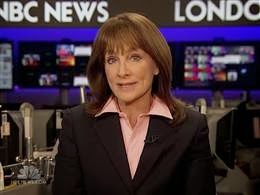 Nancy Snyderman doesn’t tell you about the risks of vaccines when she’s urging you to “Just get your damn flu shot!” now is she? TV Doctor-for-Hire Nancy Snyderman..."Just get your damn flu shot!" While searching the literature for "vaccinosis", I turned up a ton of articles about vaccines and autoimmune diseases. Rheumatoid arthritis, diabetes, systemic lupus, allergies, and a host of other lifelong chronic, autoimmune illnesses are associated with vaccines. And it may be coincidence, but I find that quite a lot of research that implicates vaccines in all sorts of conditions is more likely to have been done by non-American scientists. I suspect there is less collusion among pharmaceutical companies and researchers in say, Israel or Italy that in the United States. I am sympathetic to a degree to American medical researchers. They know they will never receive research dollars and will be painted as quacks or nuts if they are too negative about vaccines. And you need to read past the abstracts. Few peer-reviewed journals are open-access, and most people aren’t interested in investing $31.50 to read a dry bit of medical research so if they bother to check at all, only the abstract is widely available for the general public to view. Too often when I read published research about the negative effects of one vaccine or the other, the introduction or abstract will contain happy language describing vaccines as the savior of mankind and carefully worded phrases about the safety and efficacy of vaccines…it is only when you read beyond the abstract you will find the true story. It is easy to simply take the word of doctors (who in my experience rarely read research) or the talking heads on TV. These people are self-proclaimed “experts”, after all. How many people (many of them wear white coats) espousing the safety and effective ness of vaccines citing “numerous studies” have taken the time to actually read them—or better yet, go beyond the propaganda studies and read the literally hundreds of studies out there that say otherwise? Veterinarians have started to recognize the damage all these vaccines are doing to our pets. When will pediatricians realize the same when it comes to our children? Author. (1884). Article 1—No Title. United States Medical Investigator (1875 – 1887); Aug 2, 1884; 20, 5; American Periodicals, p 90. Schoenfeld, Y & Aron-Maor, A. (2000). Vaccination and Autoimmunity--'Vaccinosis': A Dangerous Liaison?